Takara Bio USA, Inc., manufactures and distributes products under the Takara™, Clontech®, and Cellartis® brands. These products include kits, reagents, and instruments for life sciences research applications, including NGS, PCR, gene delivery, genome editing, stem cell research, cloning, nucleic acid and protein purification, and automated sample preparation. Our comprehensive cloning portfolio supports both traditional methods and In-Fusion® Cloning, a unique and highly efficient method for seamless cloning. This ligation-free protocol is adaptable to a wide range of applications, including multiple-fragment cloning, site-directed mutagenesis, and automated high-throughput workflows. There are many cloning methods that do not require restriction enzymes or ligases. Read below to learn about how to achieve seamless cloning results via Topoisomerase cloning, SLIC, and Gibson. Topoisomerase technology requires no special primers and no ligases – it is as easy as cloning comes. This technology is based on topoisomerase I from the Vaccinia virus. 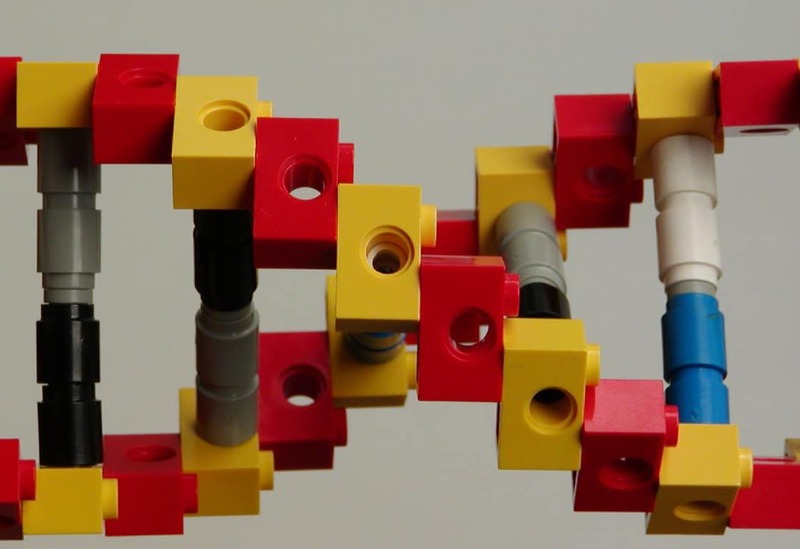 This enzyme is able to bind and cleave duplex DNA. The energy from this breakage is stored as a covalent bond between the cleaved 3′ DNA strand and a tyrosyl residue of the topoisomerase I. This phospho-tyrosyl bond is then subsequently attacked by the 5′ hydroxyl of the original cleaved DNA strand, thus releasing topoisomerase. Topoisomerase cloning exploits this reaction to clone PCR products without the use of restriction enzymes or ligases. The vectors in these kits are linearized and have the vaccinia virus DNA topoisomerase I covalently bound to the 3´ ends of each DNA strand. Incubating this vector with your PCR product will result in a closed vector that has incorporated your product – it can then either be transformed into chemically competent cells, or electroporated into electrocompetent cells. Some kits use vectors that are split in two and use Cre recombinase to form the circularized vector following insertion of the PCR product. Using topoisomerase kits means that you no longer need to design restriction sites into your PCR primers. This is great if your PCR product is difficult to amplify, as the presence of restriction sites in primers lowers PCR efficiency. Create your PCR product. Design normal primers and amplify your DNA-strand-of-interest using whatever PCR protocol you desire. Take note of what kind of polymerase you use to perform this amplification as this will dictate what kind of topoisomerase kit you need to use. Mix together your PCR product and topoisomerase vector. Incubate for 5 minutes at room temperature. Transform the topoisomerase cloning reaction into One Shot Competent Cells that come with the kit, or your favorite cell line. For best results, plate on medium containing antibiotics for which your plasmid has resistance genes. In addition, some vectors may contains the ccdB gene. Successful ligation of your PCR product into the vector will disrupt expression of the lacZ?-ccdB gene, which allows only successful recombinants to grow upon transformation, as all non-recombinant vector are killed upon plating. This means you do not need to do blue/white screening. With this method, 95% of your clones should have the correct insert. Select and sequence the inserts of 10 white or light blue colonies. Confirm your insert using primers relevant to your vector (vectors may contain primer sites for M13, T7, or other common sites) to amplify the insert and send it to be sequenced. This will help not only confirm the sequence but will also tell you the direction of your clone, so that you subclone your clone in the correct direction. To sub-clone out of the vector use one of its many built-in restriction sites – just check your specific vector map for details of which sites it contains. When deciding on the kit to use, you need to take into consideration the PCR protocol you are using, and in particular the polymerase used. Proofreading polymerases are polymerases that check each nucleotide during DNA synthesis. A proofreading polymerase will remove all unpaired 3′ ends from your PCR products, thus giving you a PCR product with blunt ends. So if you created your soon-to-be-cloned-PCR-product using a proofreading polymerase, such as Pfu or another high-fidelity proofreading polymerases, you need to use a blunt-end kit such as DNA Blunting Kit or Mighty Cloning Reagent Set (Blunt End). If your DNA template is hard to amplify and you need your PCR reaction to be more robust – as is the case when working with damaged DNA or little DNA template – then you may prefer to use a non-proofreading polymerase, such as the ever-popular Taq polymerase. Lastly, if your PCR product is longer than usual (i.e., 3–10 kb), you might want to consider using a TOPO long-fragment cloning kit. As can be deduced from the name, ligase is not needed in the SLIC method. Instead, SLIC depends on specially designed primers that will make the ends of your PCR product homologous to your destination vector. The exonuclease activity of T4 phage DNA polymerase will create overhangs at the ends of your PCR product and within the homologous site of your destination vector, thus allowing your PCR product and vectors to anneal to create a final cloned piece of DNA. Create PCR product with special primers that have homology to your destination vector. 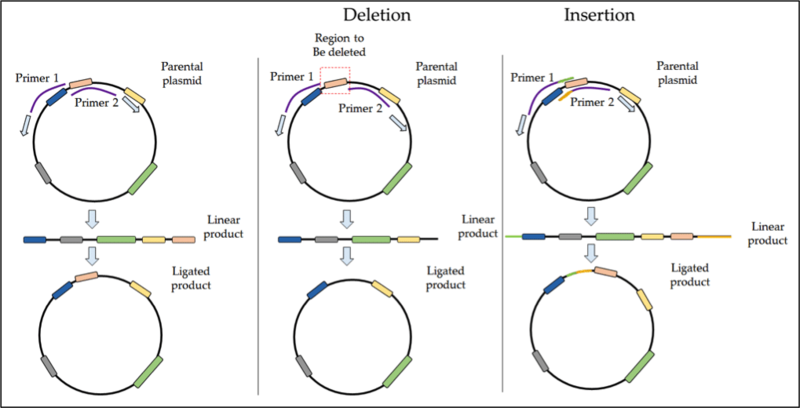 To learn more about the design of these special primers see the article on Ligation Independent Cloning Primer Design. Linearize your destination vector. For this you will want to use a restriction enzyme, but this will be the only time you will do so in this method. Add a T4 polymerase. Next you will incubate your PCR product and vector with a T4 phage DNA polymerase without dNTPs. In this environment, the T4 polymerase has 3’ exonuclease activity that will digest your vector and PCR product to create sticky overhangs. If you designed your primers correctly, the overhangs from your PCR product and your vector will then anneal. Add dCTP. Only now will you add a nucleotide, dCTP. This will halt the digestion and start the polymerase replicating. However, because not all the dNTPs are present, replication will stall. The end result will be your PCR product cloned into your destination vector with 4 single-stranded nicks. Mix and Transform. When you transform this vector into Escherichia coli the nicks will be ligated. The SLIC technique can be a little tricky with its extra long primers, and it may not be your best choice for hard-to-amplify DNA. Additionally, this technique relies on the correct annealing of long DNA sequences, which is only possible if the DNA is properly melted, and certain DNA sequences, such as repetitive DNA or hairpin prone DNA, may prove difficult. Gibson assembly is the same as SLIC except that it uses a dedicated exonuclease (instead of the T4 polymerase) and uses a ligase to seal the nicks. The advantage of Gibson over SLIC is that it is a “one tube” reaction. Create PCR product with special primers to create homology between your PCR product and vectors. Same as the SLIC method. Incubate your PCR product and vector with a T5 exonuclease to digest back your vector and PCR product to create overhangs. If you designed your primers correctly, the overhangs from your PCR product and your vector will anneal. Add the Phusion polymerase. The phusion polymerase will follow the exonuclease around the plasmid and overtake it. The heat from your thermocycler will eventual deactivate the exonuclease. You will then use ligase to create your final clone. The advantage of the Gibson technique is that using a ligase to seal increases your output and efficiency. A disadvantage to Gibson is that it is more expensive – the T5 exonuclease, Phusion polymerase, and ligase cost more than the SLIC components combined. Also, this method works best if your DNA fragment is 250 base pairs or longer, otherwise you run the risk of the exonuclease digesting your entire product before it can properly anneal to the vector. Also all the same SLIC disclaimers apply: DNA sequences with repeats or hairpins may be uncooperative. As an alternative seamless method, Takara now offers In-Fusion cloning kits that provide one-step, high-efficiency, high-throughput cloning without relying on low-fidelity polymerase or a ligase that can incorporate base pair mismatches. There are many cloning methods available. Traditional restriction-enzyme-based methods that rely on restriction enzymes to make the inserts or destination vectors “sticky” for subsequent assembly are not your only choice. Methods like TOPO, SLIC, and Gibson will give you seamless clones without requiring restriction enzymes or, sometimes, even ligase.